Date: 5.04.2018 | Chillout, Downtempo, Lounge, Lo&Fi | Tags: Soundcolours, Soulfood, Blank and Jones, Milchbar, Seaside Season, Maricopa, James Gruntz, Troels Hammer, Satin Jackets, Runsq | Download Blank & Jones - Milchbar Seaside Season 10 (2018) for free. 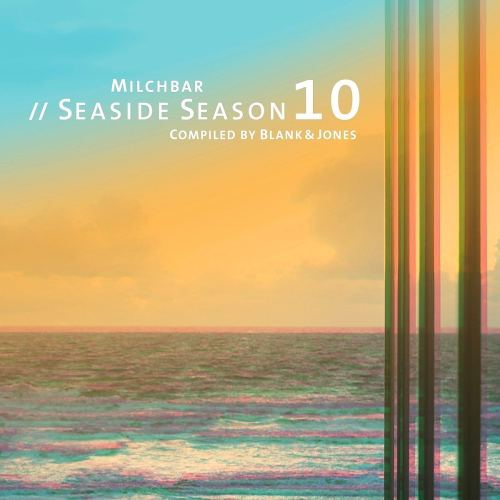 Blank & Jones celebrate their tenth anniversary with the Milchbar Seaside Season series 2018. What started as an insider tip for all fans of the North Sea island of Norderney quickly became the most popular chill out and lounge compilation series in Germany. Also in the sales charts, the series is subscribed to at least Top 5 and has made the milk bar known worldwide. The magic, which emanates from the legendary café with 270 degree sea views, drew Blank & Jones into its spell. In the meantime fans not only from all over Germany come to the sunset sessions of the two to Norderney, but attract connoisseurs from all over the world. Milchbar Seaside Season 10 is the perfect soundtrack for relaxed and sun-drenched hours on holiday.